Chocolate Zucchini Cake! This is a rich and decadent chocolate cake with hidden bits of shredded zucchini added for moisture. This is such a delicious, tempting cake and the chocolate cream cheese frosting makes it purely irresistible! The Best Chocolate Zucchini Cake! 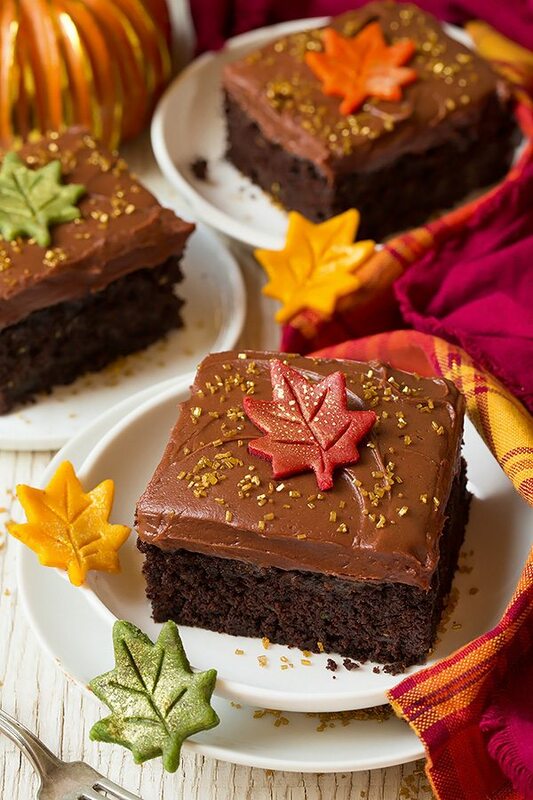 This cake is perfect for summer or fall. The best part about this cake (other than it’s utterly delicious chocolatey goodness of course) is that no one will even notice that it’s packed with zucchini. I had some family over and of course everyone wanted cake, kids included. I let the kids know that there was a secret ingredient but wouldn’t tell them until they were done eating it. So of course they ate it and kept mentioning how good it was, then once they were done I let them in on the secret – zucchini! That’s when you may get an “eww” and a bunch of shocked looks because it’s something they’d never even consider eating as a side to their dinner, but yes indeed everyone loved this cake though. Unfortunately myself included. I say unfortunately because there I was at 11:30 at night slicing off sliver after sliver – because slivers just make it seem more justified that you are eating cake when you should be sleeping. And then before you know it a whole piece is gone from those little sliver slices. Whoops. This cake is dangerous I tell you! 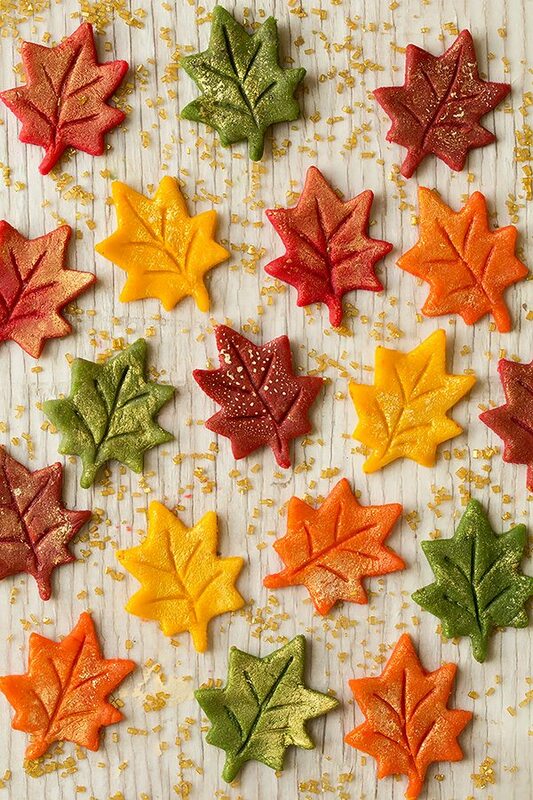 I made the leaves out of marzipan which is a pre-made, thick, sweetened almond paste because I’m not a fan of fondant or gum paste. Any of the aforementioned would work and you’ll tint them with gel food coloring (I blended a lot to try and get more natural colors). Then shape each color into a ball (and keep them in resealable bags when you aren’t working on that color so they don’t dry). Then I spritzed small areas of wax paper with edible gold spray paint and let it dry (it dries quickly), then I rolled out the colored marzipan balls over the dried paint then cut them into leaves with a mini cookie cutter. It took some time (probably about an hour) but I love to make stuff like this so it was fun for me. 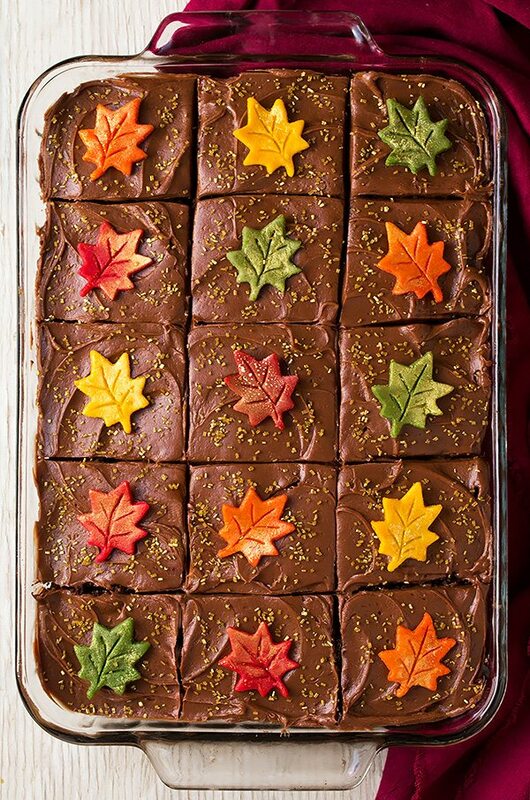 If that’s not your thing I bought some fall colored sprinkles (I found them at Michaels) I was going to use for this cake if the marzipan leaves didn’t turn out. Those sprinkles would be perfect for this cake. Or just be boring and leave it undecorated with anything :). Do I Have to Use Two Kinds of Cocoa? If you don’t already have two kinds of cocoa you can just use one or the other. The first time I did all Hershey’s Dark Cocoa and got black magic cake so the second time I still wanted some darker color so I added a little, but either or should work here if you don’t already have both. 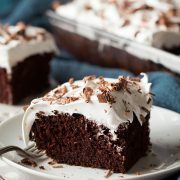 Ring in the new season with this irresistibly chocolatey, incredibly moist, rich and luscious Chocolate Zucchini Cake! It’s sure to be a hit! 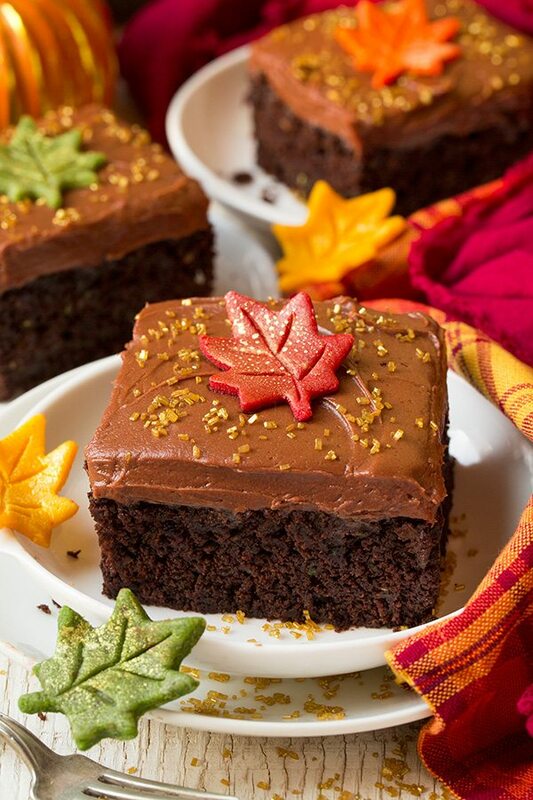 Rich and decadent chocolate cake with hidden bits of shredded zucchini added for moisture. 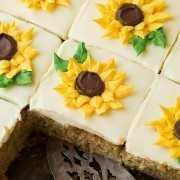 This is such a delicious summer cake and the chocolate cream cheese frosting makes it purely irresistible! Preheat oven to 350 degrees. Spray a 13 by 9-inch baking dish with non-stick cooking spray, set aside. In a medium mixing bowl whisk together flour, both cocoa powders, salt, baking soda and baking powder for 20 seconds, set aside. In the bowl of an electric stand mixer fitted with a the paddle attachment mix together butter, oil and granulated sugar. Mix in eggs one at a time then blend in buttermilk and vanilla extract. Set on low speed slowly add in dry ingredients and mix until well combined. 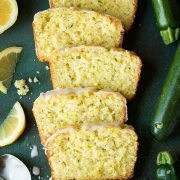 Remove from stand mixer, add zucchini and fold to combined. Pour batter into prepared baking dish and spread into an even layer. Bake in preheated oven 32 - 38 minutes until toothpick inserted into center comes out clean. Allow to cool on a wire rack 30 minutes then cover and let cool completely. Once cool frost with Chocolate Cream Cheese Frosting and store in an airtight container in refrigerator. For the frosting: in the bowl of an electric stand mixer fitted with the paddle attachment cream butter and cream cheese until smooth. Mix in powdered sugar and cocoa powder then add vanilla and mix until combined. Shown here as 15 servings but you should get closer to 20. Fary: Hi Jackyn, this is my first time writting a comment.. anywhere apart from craftsy. I’d like to thank you for this recipe.